High quality crystal plaque presented in satin box. 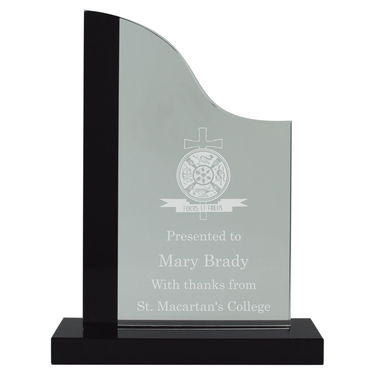 This plaque is black and clear Curved crystal award that gives a very professional look. Choose to personalise this plaque with an engraving.